The Columbus Blue Jackets have fired general manager and executive vice-president Scott Howson. Howson was named the second general manager in team history on June 15, 2007. One playoff appearance in more than five seasons wasn't good enough for Scott Howson to keep his job as Columbus Blue Jackets general manager. Howson was fired Tuesday night by John Davidson, the club's director of hockey operations. Since his hiring last summer, Davidson, who rebuilt the St. Louis Blues, has become the man with the most power in the front office. "It's just a gut feeling that I had, that I had to do," Davidson told The Associated Press on Tuesday night. "That's now done. And now we go forward." Davidson said before the season that the recent NHL lockout bought him time to evaluate the direction of the franchise. The Blue Jackets got off to a 4-7-2 start, and despite the team playing its best game of the season on Monday, Howson was let go less than 24 hours later. Howson didn't immediately return a call seeking comment. Davidson said he would work with assistant GM Chris MacFarland to fill in for Howson, and he hopes to hire a replacement before long. "I've got a short list," he said. "I've been working on some things, and it'll be taken care of sooner than later." The announcement came one day after the Blue Jackets beat the San Jose Sharks 6-2. Fourteen players had at least a point as Columbus scored as many goals Monday as the team had in its previous three games combined. And the Blue Jackets did it against the stingiest defence in the league. Howson, a 52-year-old Toronto native, was hired as executive vice-president and general manager on June 15, 2007. 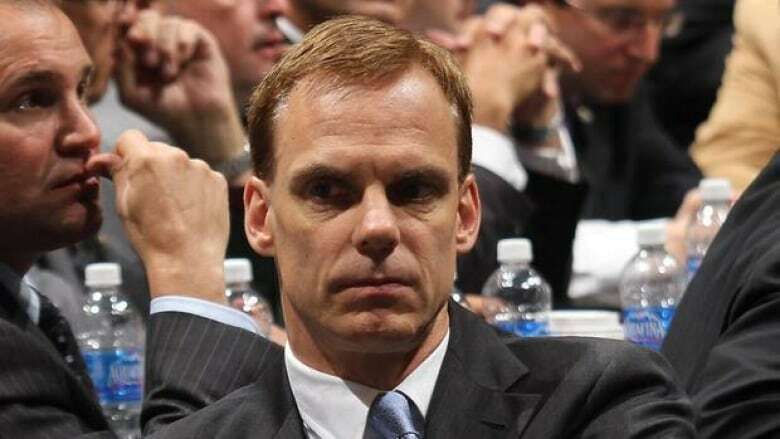 He took the place of Doug MacLean, who had guided the franchise from its inception, through its first NHL season in 2000-01 and the next five campaigns. Howson spent most of his playing career in the minors but played 18 games with the New York Islanders in the mid-1980s. After retiring in 1986, he went to law school and then spent seven years in the front office of the Edmonton Oilers. He oversaw a resurgence of the Blue Jackets in the 2008-09 season, when they went a franchise-best 41-31-10 and made the playoffs with star forward Rick Nash and Calder Trophy-winning goalie Steve Mason leading the way. But the club then fell on hard times, and last season went an NHL-worst 29-46-7. The club was rocked midway through the season when Howson revealed that Nash, the team captain, had approached him in January asking to be traded. Howson later said he spoke with the 29 other teams before finally dealing Nash, a minor league defenceman and a conditional third-round pick to the New York Rangers last summer for forwards Artem Anisimov and Brandon Dubinsky, 21-year-old defenceman Tim Erixon and a first-round pick. The success of that deal will ultimately serve as Howson's legacy in Columbus. Before this season, Howson said the Blue Jackets might have trouble scoring but he had confidence that the defence — with the acquisition of defencemen Jack Johnson and Adrian Aucoin and goalie Sergei Bobrovsky — would be vastly improved. "We're going to have to score by committee," Howson said. "Some of our offence is going to have to come from our defence again. That's how we're going to do it. We're all focused on making sure that first and foremost we're better defensively." The Blue Jackets won their opener, 3-2 in a shootout at Nashville, and earned another point in their second game. But they lost eight of 10 games before Monday night's victory with heavy injuries in the defensive corps. Columbus will begin a six-game, Western trip on Friday at defending Stanley Cup champion Los Angeles. "We're seeing some good things," Davidson said. "I saw some good stuff with the win over San Jose; we did our jobs. Listen, we have to work hard. Other teams work hard and some of them may have more talent than us. So we have to work hard. [If] we don't, we don't have a chance. We all understand that." The Blue Jackets have three first-round picks in the upcoming draft. The pressure will be on the scouting staff and the new GM to make the most of those selections, something the Blue Jackets have seldom done in 13 previous drafts. "That's certainly a key part of it, there's no question," Davidson said. "We'll see where it goes, if we have more picks or we make a deal here or there or whatever. But it's really important when you get into this position to take advantage of three in the first round. "That's a nice luxury we're going to have, and we really have to be prepared for that. We've zeroed in hard on that already."